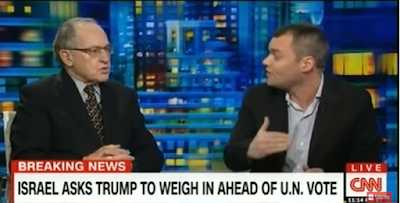 In this clip at CNN, at around 3:50, Peter Beinart (who is grossly repetitive, interrupts and acts as if it is his own interview show) "explains" his position contra "settlements", Jewish ones, that is, what are Jewish communities in Judea and Samaria, Yesha, the heartland of the historic Jewish national homeland recognized by the world as the place where Jews were to be safeguarded the right to "close settlement". the reality of what happens when you hold millions of people for more than 40 years as noncitizens in the places in which they were born." 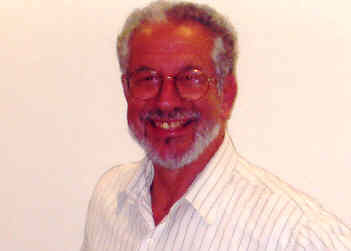 He goes further and pushes the line that many of the communities are built on land individually owned by private Palestinians and that land is taken from them which is, he asserts, morally wrong and bad for Israel. By the way, at 9:10 he claims Binyamin Netanyahu has "not put a map on the table". Of course, the last map placed on the table for the Arabs was Ehud Olmert and Mahmoud Abbas ignored it and never came back to negotiate on it. And Beinart ignores the 10-month long moratorium on construction in the Yesha communities by Netanyahu that did not in the least motivate Abbas and other terrorists to negotiate. For Beinart, as I understand him, Zionism has become corrosive, untenable from a liberal outlook. I have dealt with other issues he raises and I have left comments at his previous OpenZion site, so I'll be brief. This latching on to a 'citizen' construct is false. To take it to the extreme, millions of American expats do not necessarily vote in their residential countries but they are not oppressed. Well, they might be if they tried to turn part of England into America or take up arms to fight for some consumer privilege and sabotage grocery stores. Arabs resident in Judea and Samaria are not citizens of Israel. True. But they do vote, when Abbas wishes, for their "own government" which is the Palestinian Authority. Even outside of Area A, the Arabs could vote is Abbas would stop, for a decade, putting elections off, even indefinitely. Of course, if Israel extended its sovereignty to all are parts of the area, that would solve one civil rights concern of Beinart but he is opposed to that out of his love for Israel's future. The military law is in place not because of Israel but due to the lack of willingness of the leadership of the local Arabs to engage in serious negotiations (in fact, ever since the 1920s onwards). They have rejected a legislative council, several partition plans, an Allon Plan, a Begin autonomy plan, Madrid maneuvers, Clinton parameters, Barak and Olmert surrenders and more. As for the last point of private ownership, most of the land was state or waste land, being, in 1948, at least 75% of the total. Claims otherwise are obfuscation on the part of Arabs, many who hold so-called deeds to collectively-held village land or tracts handed out by a previous very illegal occupier: Jordan. Again as usual, starting with his book, one that has been criticized and by many, Beinart plays a liberal/progressive trope which is one that is misrepresented and hollow. Why do too many follow his piping? The Carter administration voted for the resolution, though a few days later President Carter claimed that this was due to a communications error, and that he had wanted his ambassador to abstain (meaning the resolution would have still passed). See also here for Secretary of State Cyrus Vance's explanation. 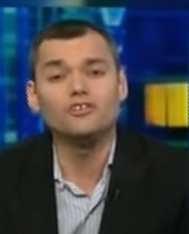 Beinart, like much of the left and the anti-Zionists, NEEDS his lies because otherwise his arguments hold no water!! !